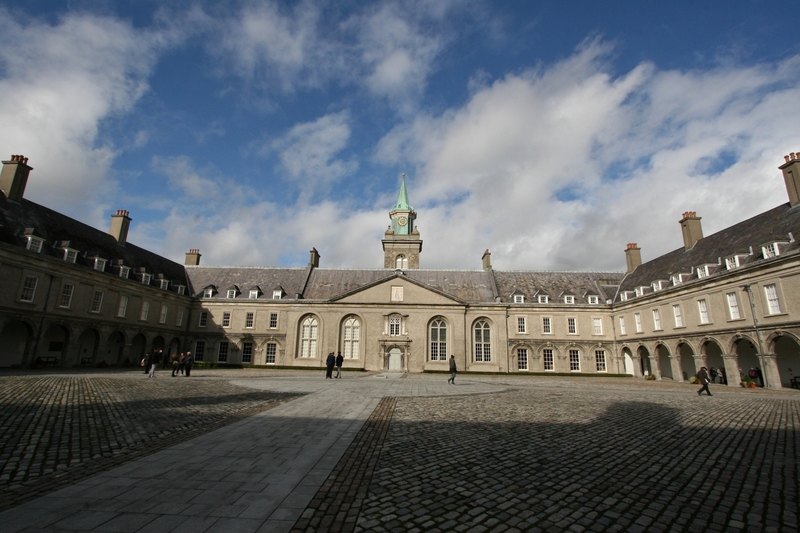 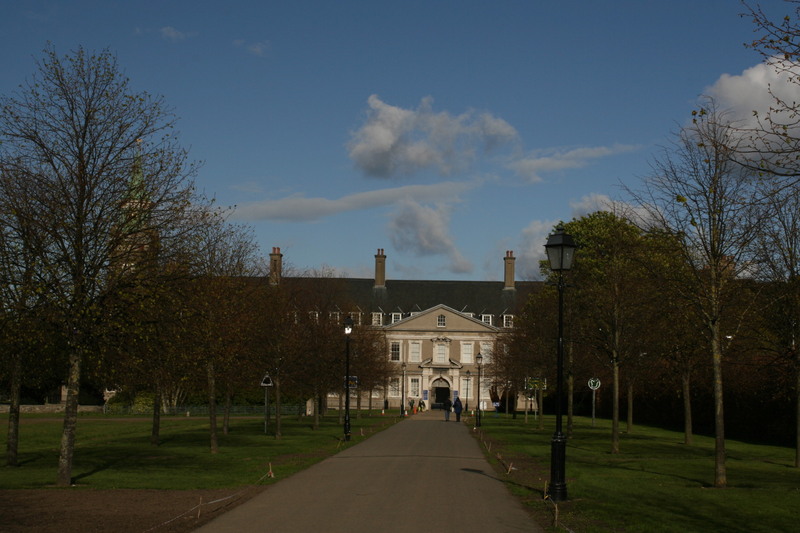 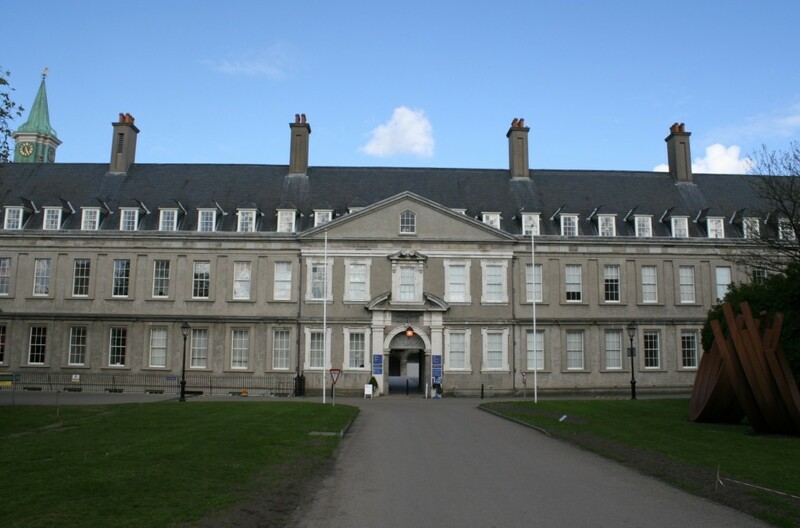 The Royal Hospital, Kilmainham, was the headquarters of Brigadier General William Lowe, who assumed command of the British forces in Dublin at the time of the Rising, and there was serious fighting in the vicinity, most notably at the South Dublin Union, not far out of shot to the right (south), and easily within range of a British machine gun sited on the roof of the hospital. 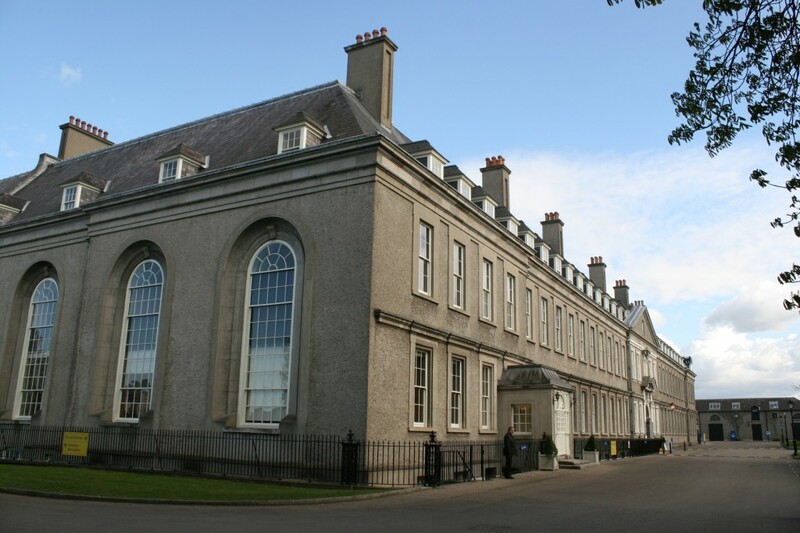 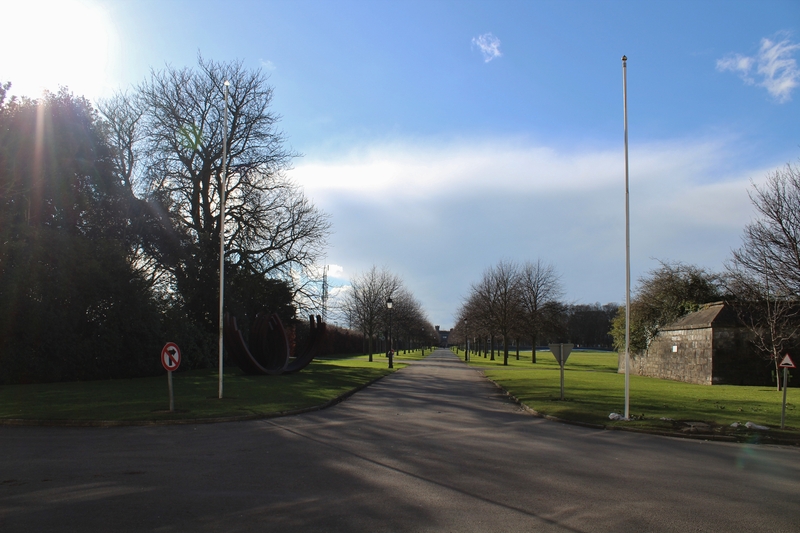 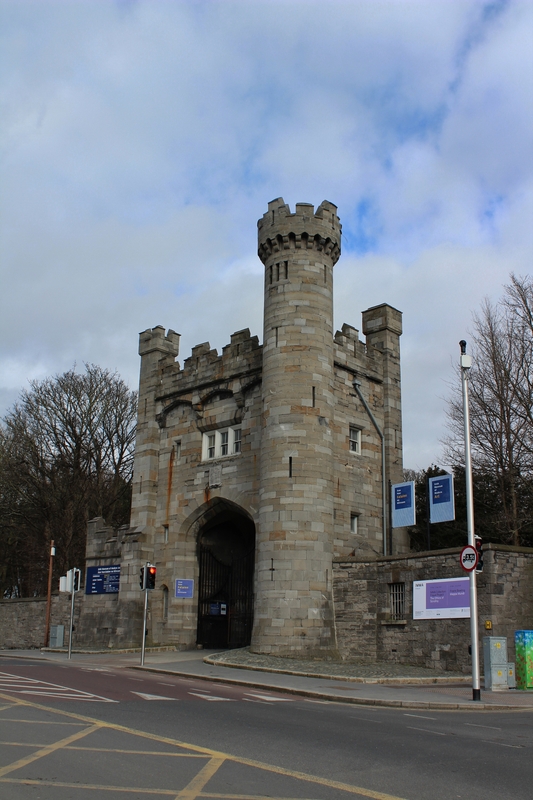 The hospital now houses the Irish Museum of Modern Art, but at the time of the Rising some 2,500 British troops were billeted in the building. 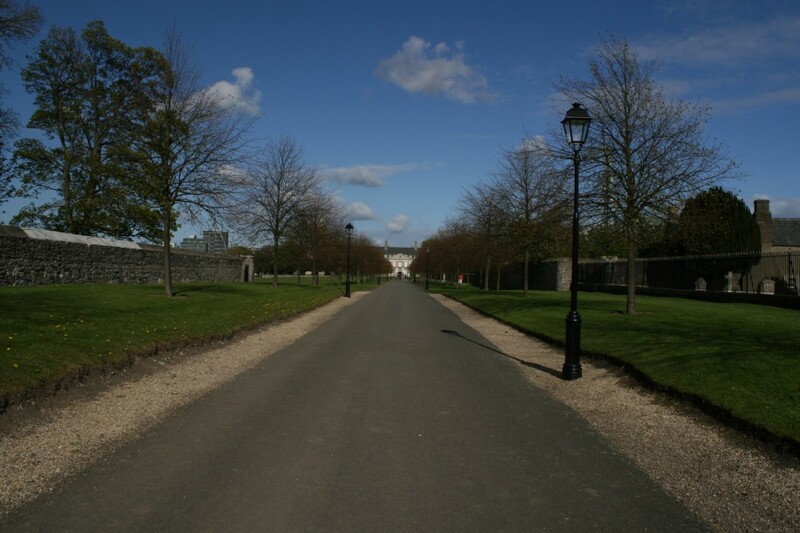 There are two graveyards on either side of the road here; Bully’s Acre, behind the wall to the left, and the Officers’ Burial Ground, behind the iron railings on the right. 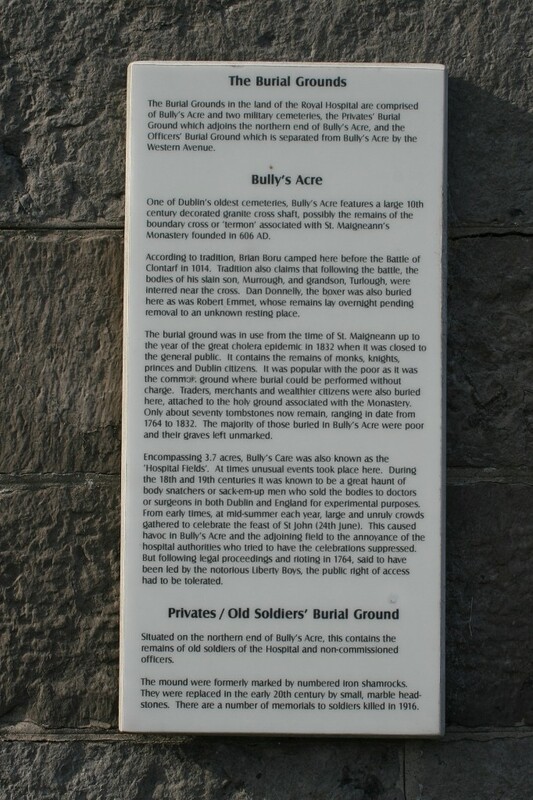 The entrance to Bully’s Acre. 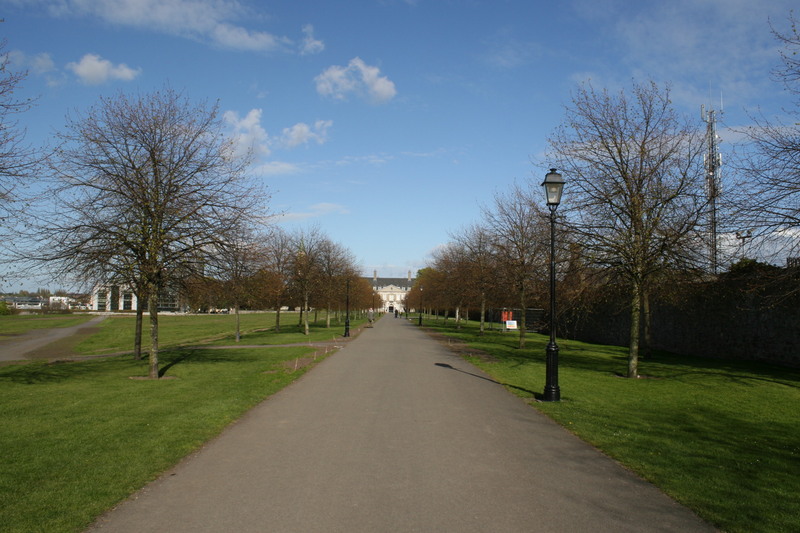 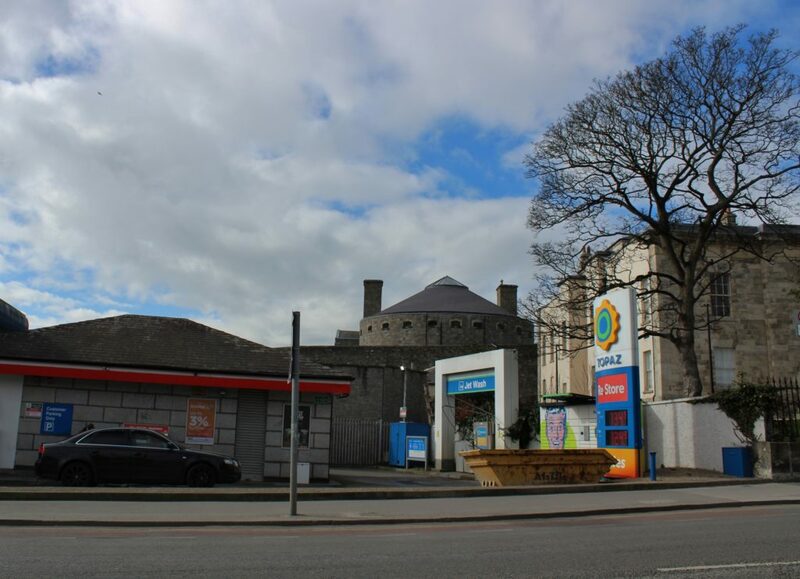 Note the Wellington Memorial, all 203 feet of it, towering above the Liffey valley from its site in Phoenix Park. 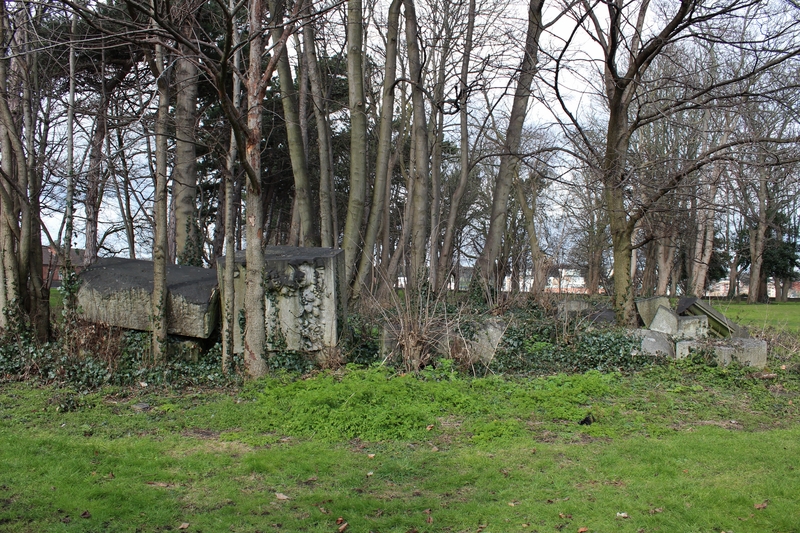 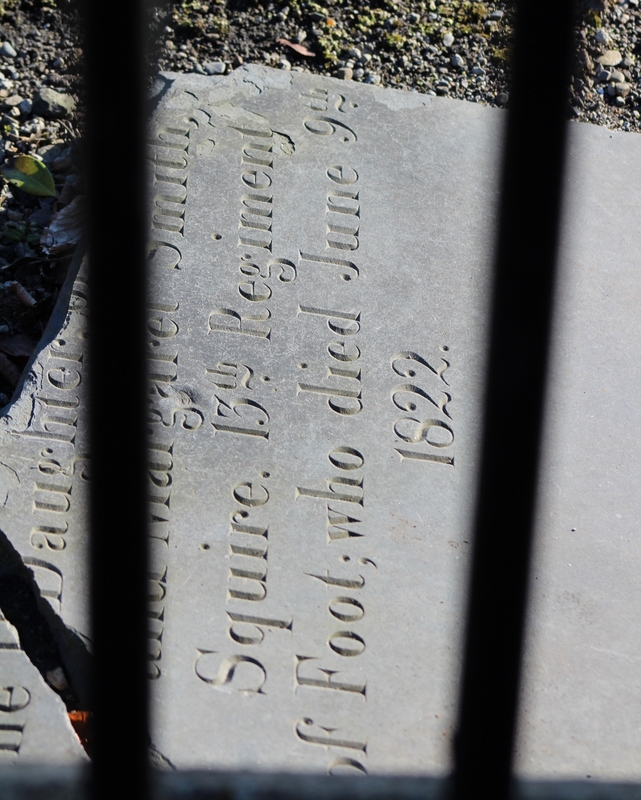 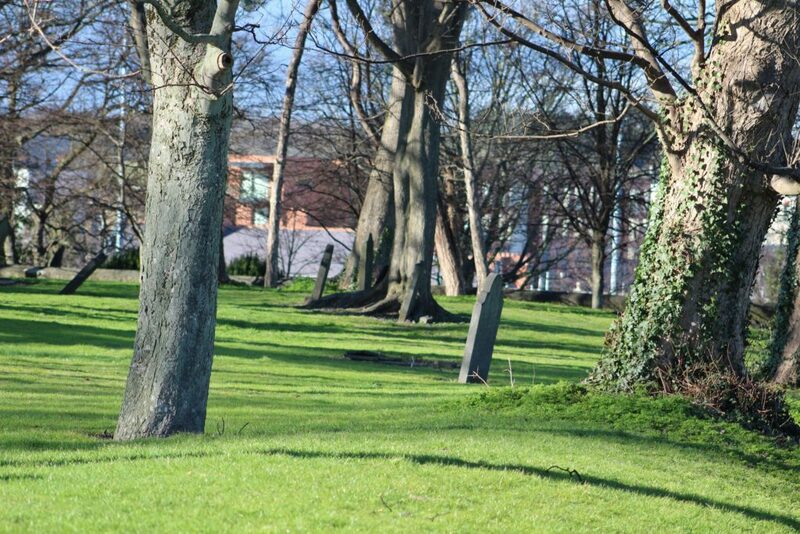 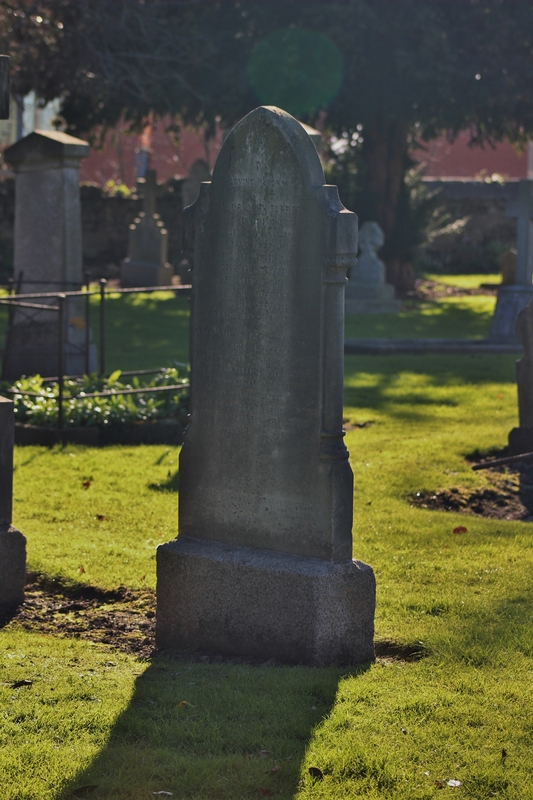 …somewhere in the background in the Private’s Burial Ground, lie a number of British soldiers killed during the Easter Rising. 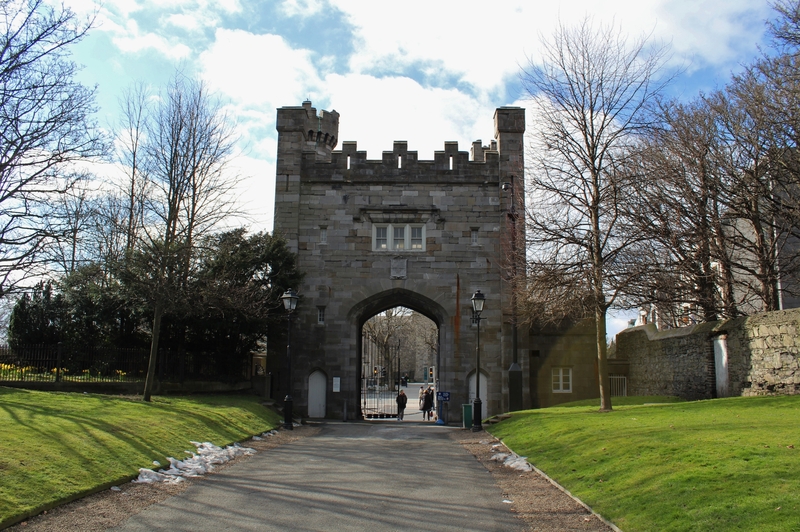 Panoramic photo taken through the bars of the locked gates. 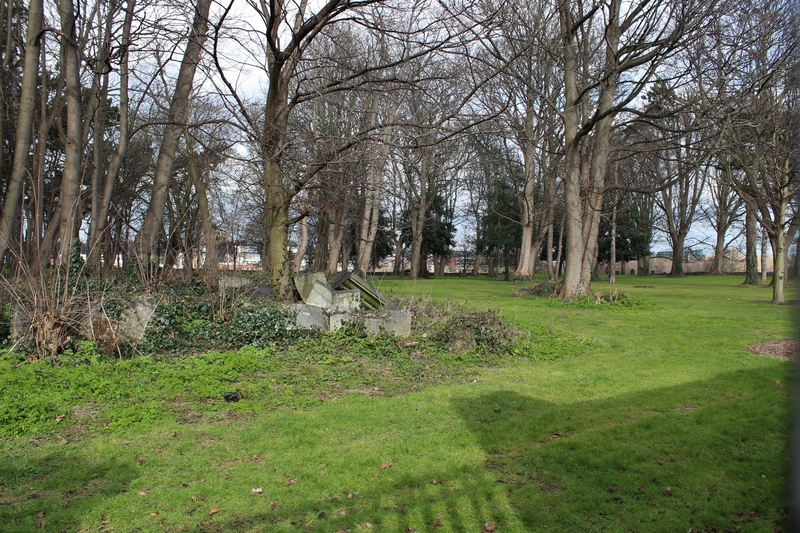 The Private’s Burial Ground is at the far end and not visible in this photo, but seven casualties, three Sherwood Foresters, one man from the Royal Irish Regiment, and two Royal Irish Rifles, who were killed or died of wounds during the Rising, are buried there, as well as one man from the Royal Irish Lancers who died earlier in April 1916. 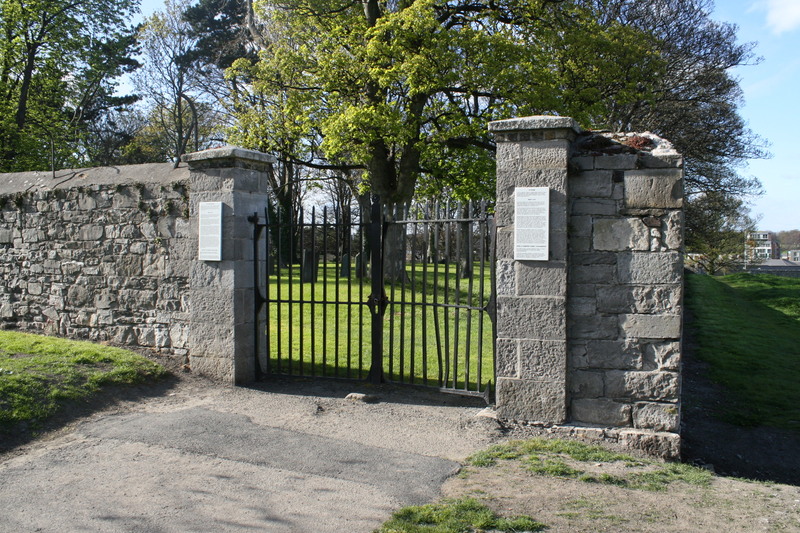 Entrance to the Officers’ Burial Ground; again, the gates are always locked. 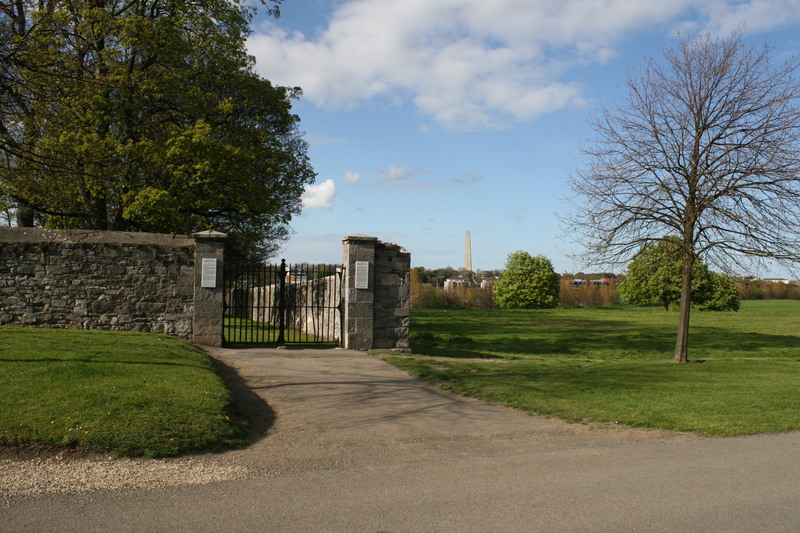 There is a single First World War burial in the Officers’ Burial Ground, that of Lieutenant Colonel Charles Blackburne D.S.O., Mentioned in Despatches, of the 5th Dragoon Guards (Princess Charlotte of Wales’s), attached H.Q. 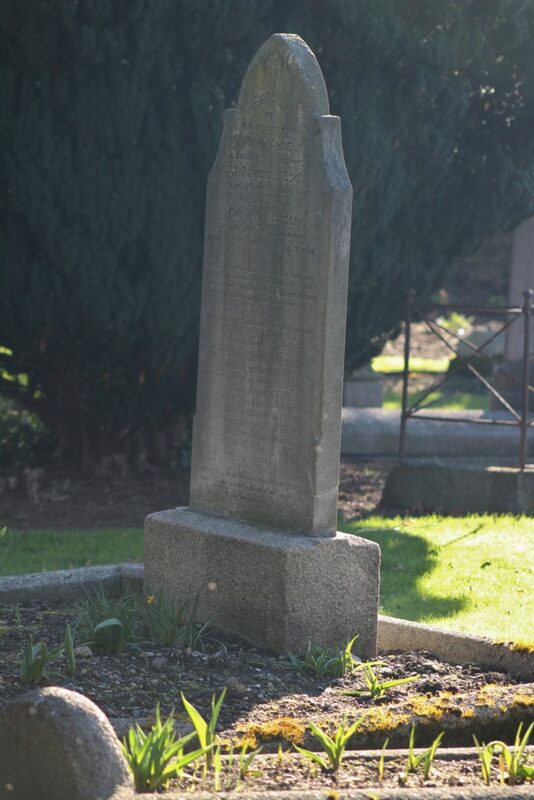 Staff, Dublin, who died, along with two of his children, when the R.M.S. 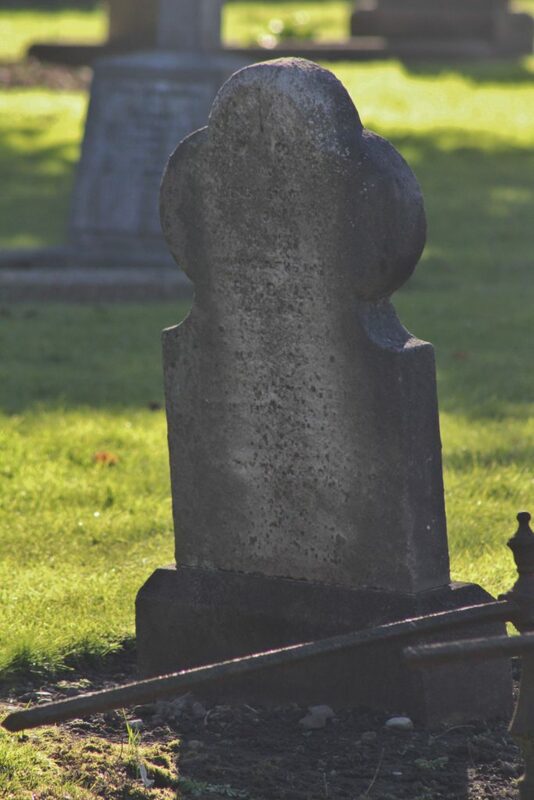 Leinster was torpedoed on 10th October 1918, although this is not his headstone. 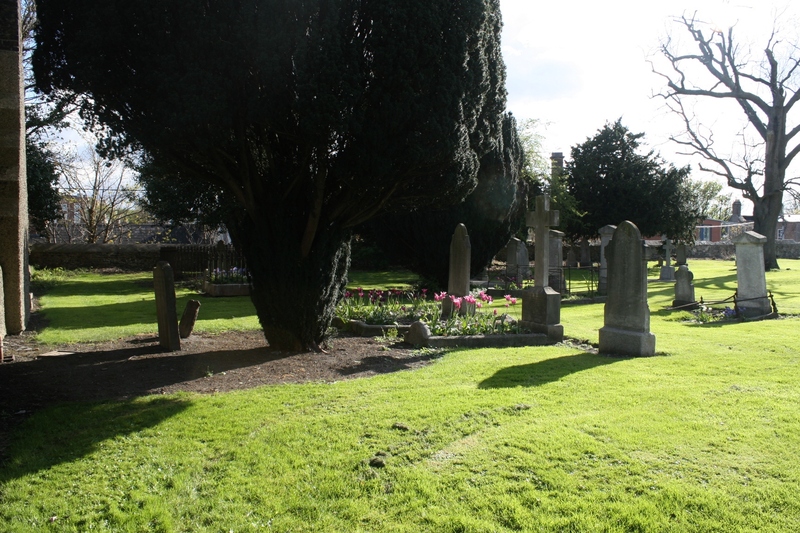 …and east, this time from the western end of the plot. 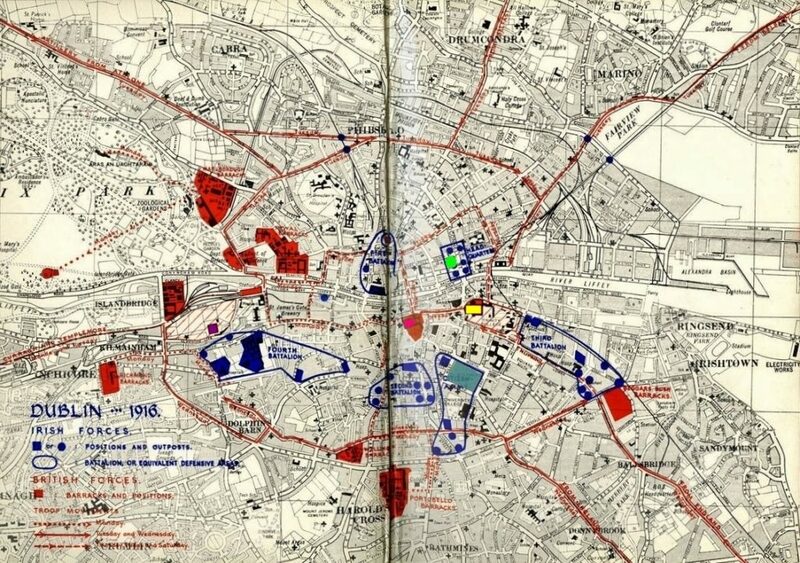 The map now has the Royal Hospital marked in mauve towards the left of the contested area. 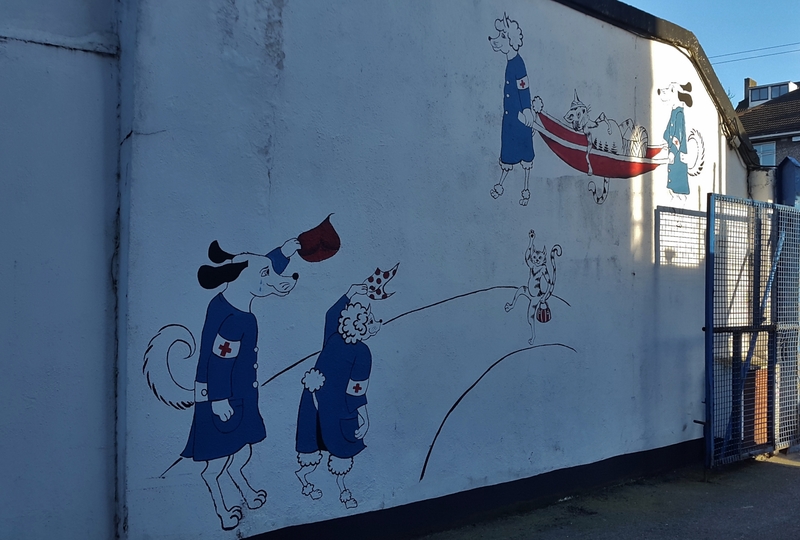 The larger of the two blue areas just to the south east of the hospital is the South Dublin Union, a fifty acre site that catered for Dublin’s destitute, infirm and insane. 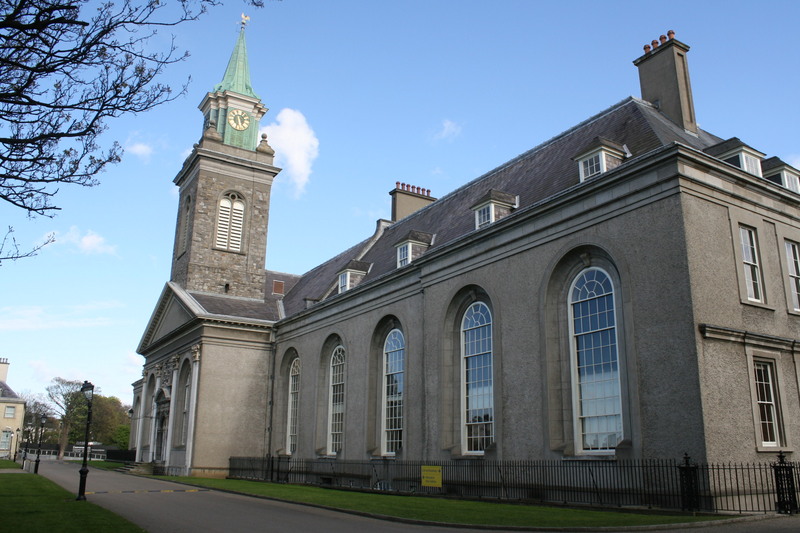 Enclosed behind a high wall, the Union consisted of a number of hospital buildings, living quarters for more than 3000 patients, doctors, nurses and auxiliary staff, churches, an infirmary and a morgue, a bakery, and many other buildings connected by a network of streets and alleys, interspersed with areas of green lawn. 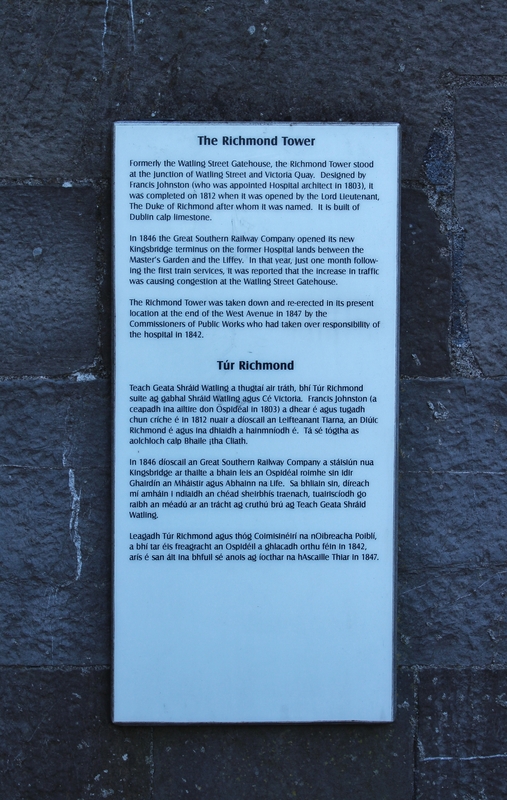 As the majority of British military installations in Dublin were located to the west of the city, the seizure of such a large complex, overlooking Kingsbridge (now Heuston) Station down in the valley, would enable the Volunteers to disrupt the movement of troops from Richmond Barracks (see map) and the Royal Hospital towards the fighting in the city centre. 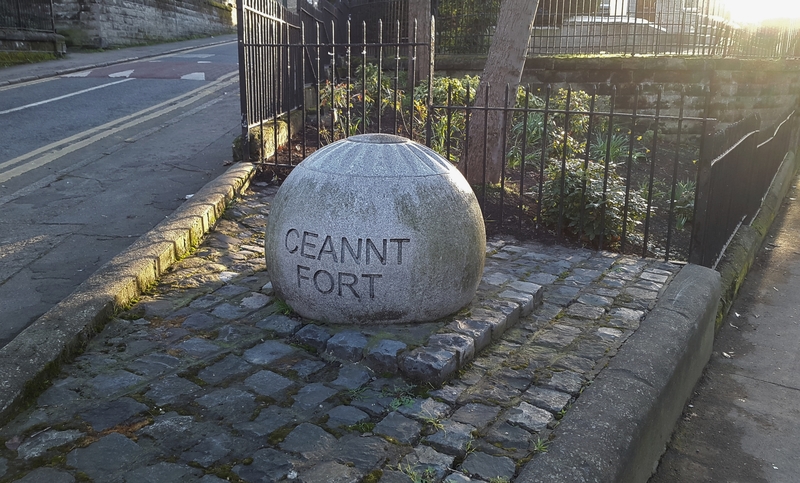 IRB Military Council member Éamonn Ceannt and 120 men had seized the Union early in the day, along with a number of outlying buildings in the area, including Watkins Brewery in Ardee Street, the Jameson Distillery in Marrowbone Lane, and Roe’s Distillery in Mount Brown, although their failure to take the station was something of an oversight. 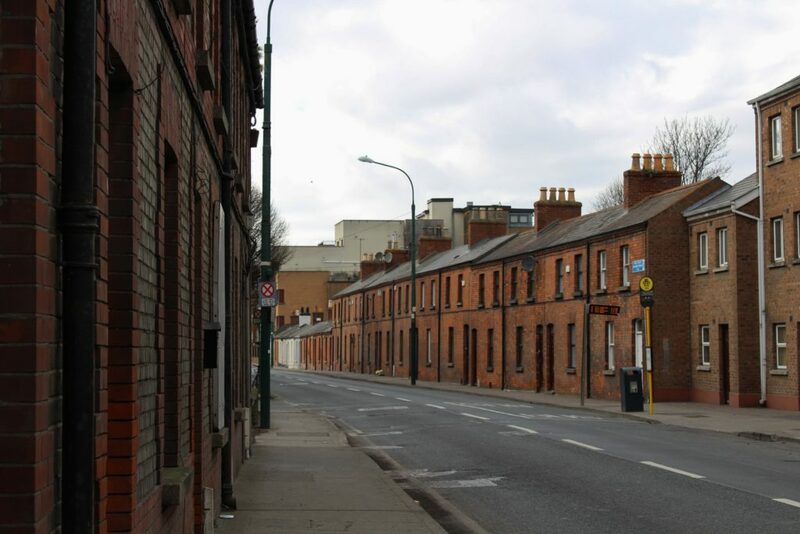 Later on that first day, a piquet from the Royal Irish Regiment stumbled upon an outpost of Volunteers of the 4th Battalion near the eastern end of the Union. 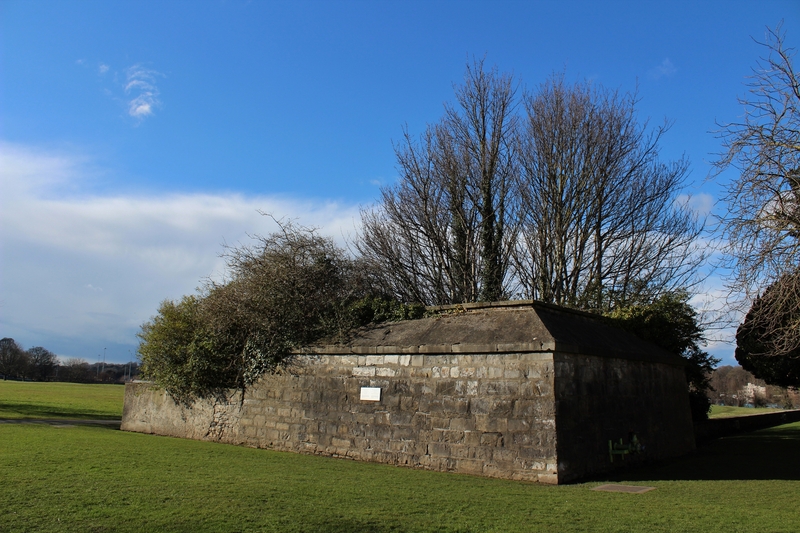 The British, after taking immediate casualties as Ceannt’s men opened fire, regrouped, eventually fighting their way inside the tin huts the rebels were defending, and forcing them to surrender. 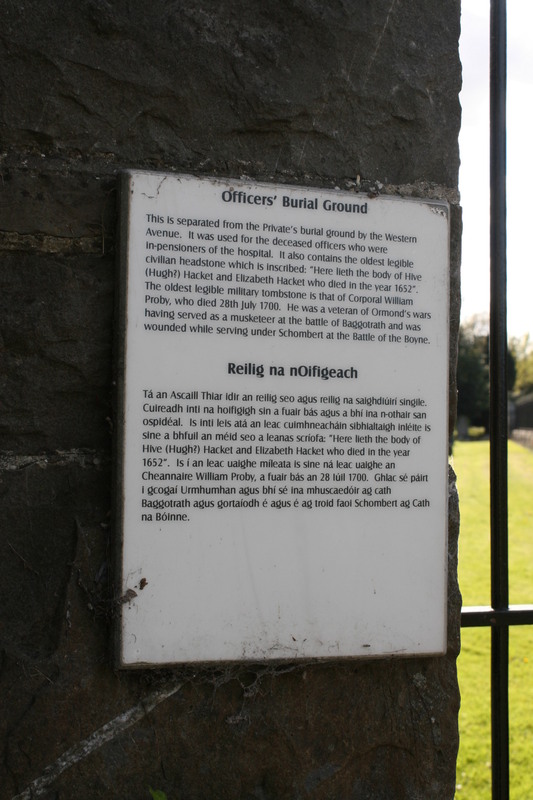 It was here that Margaret Keogh, a nurse in uniform, was shot dead by British soldiers; it is thought that she was the first civilian casualty of the Rising. 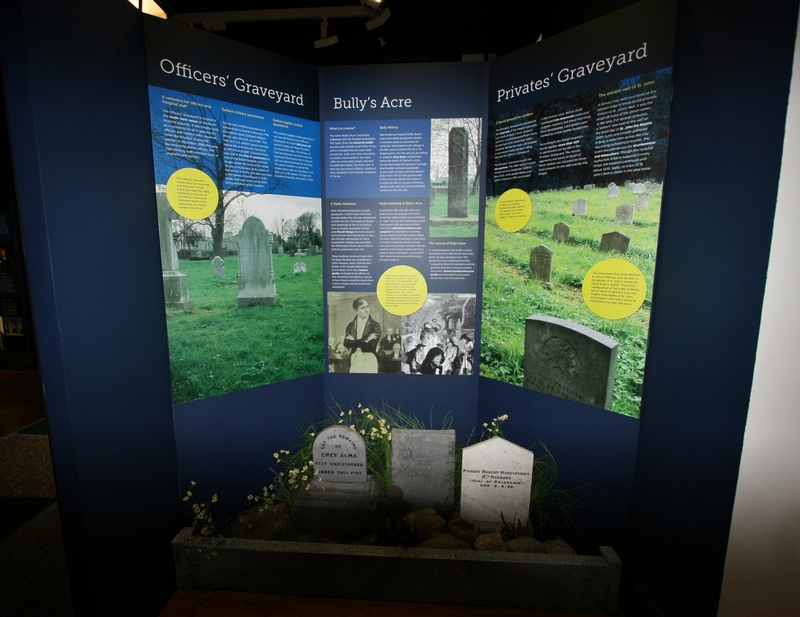 A small display in the museum tells the story of Bully’s Acre. 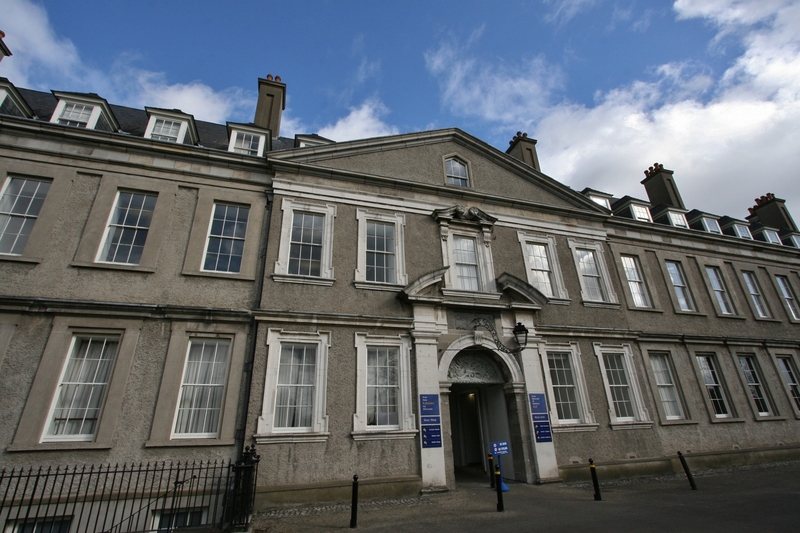 The sudden occupation of the complex and the fighting that erupted in the grounds of the Union prevented the evacuation of hundreds of staff and patients. As a running battle was fought throughout that Monday through the alleyways and hospital corridors, both sides suffering heavy casualties, and many civilians were caught in the crossfire. 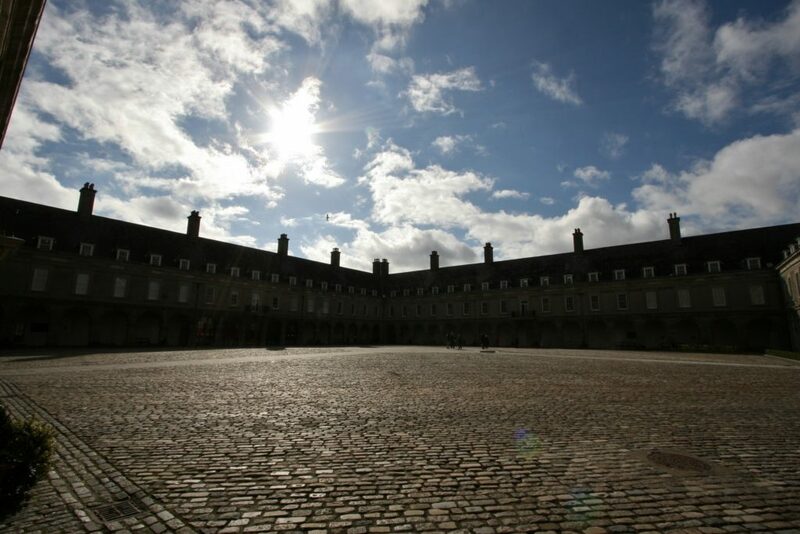 The Royal Irish Regiment managed to take many of the Union buildings after fierce fighting but, despite their objections, were then ordered to withdraw and return to barracks! Heavy fighting would again take place at the Union again on Thursday 27th, the British machine gun firing from the roof of the Royal Hospital (above) playing its deadly part, but the story of Cathal Brugha, the Irish officer who single-handedly held off British assaults despite suffering terrible injuries, will have to wait for another time, hopefully when I have had the opportunity to take some photos at St James’ Hospital, which now occupies the site of the Union (although some of the old buildings, I gather, still exist). 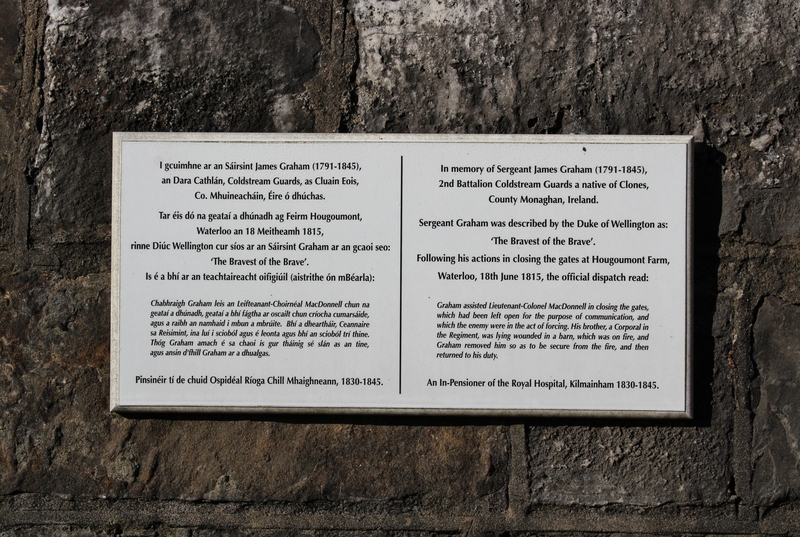 …bears a plaque you might find of interest. 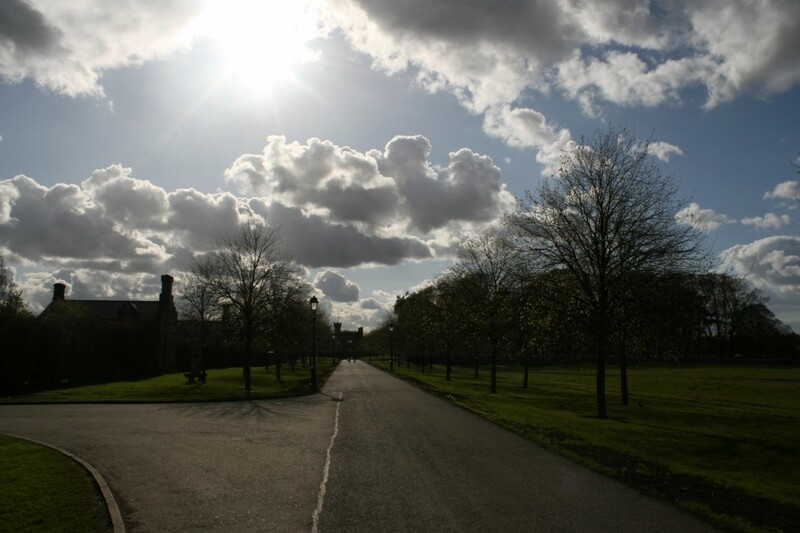 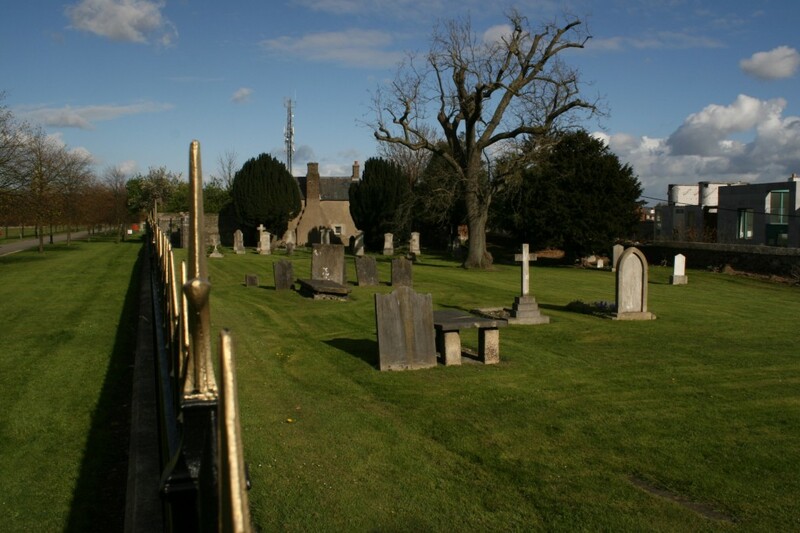 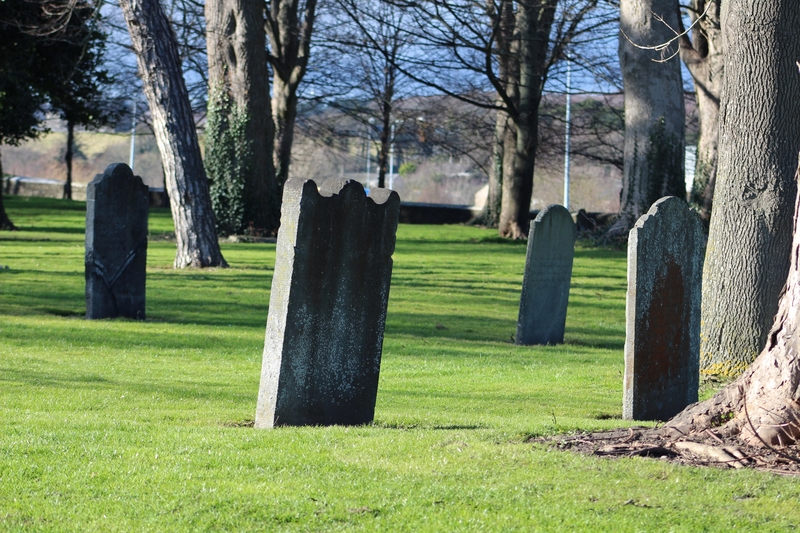 …the two graveyards on either side of us, and ahead, the Richmond Tower. 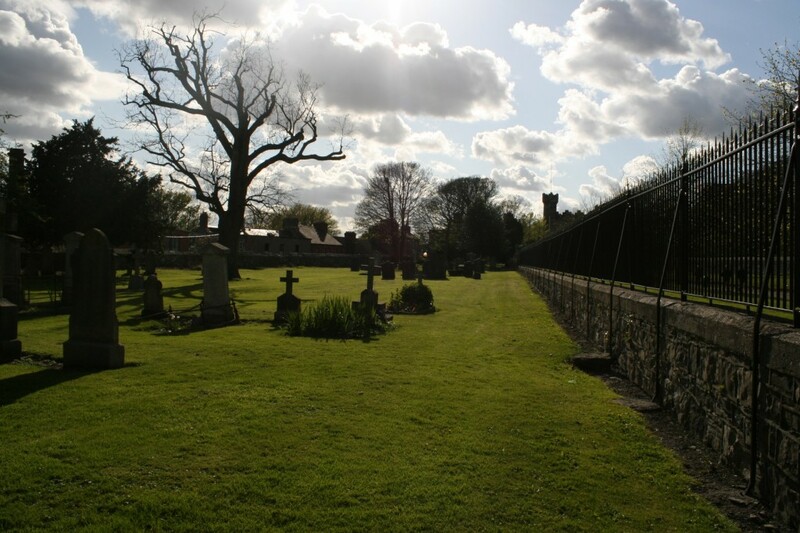 A couple of shots taken through the second entrance to Bully’s Acre you can see on the right still show no signs of the Private’s Burial Ground (below). 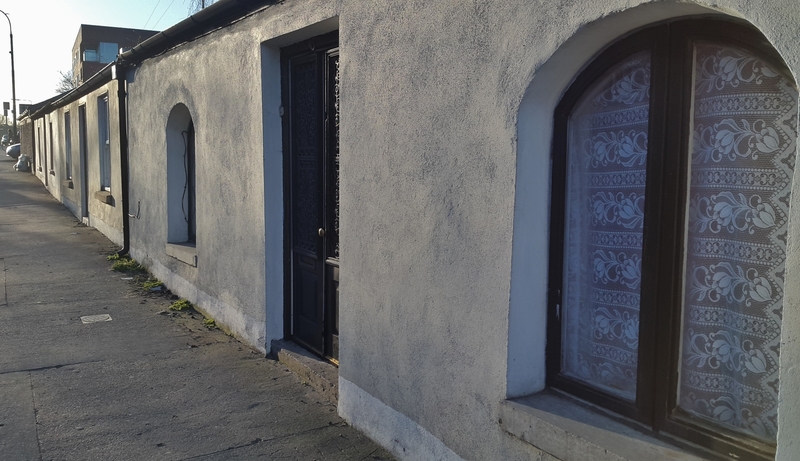 …the houses unchanged from over a hundred years ago. This street can be clearly seen on the earlier map within the area controlled by Ceannt’s 4th Battalion, crossing the northern tip of the South Dublin Union. 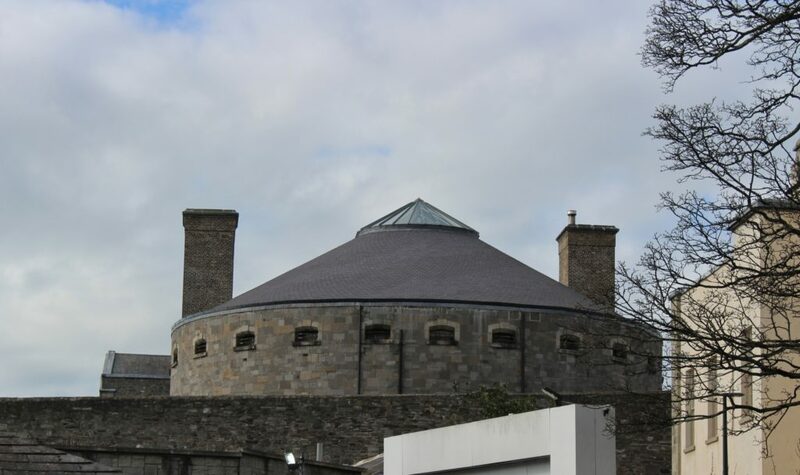 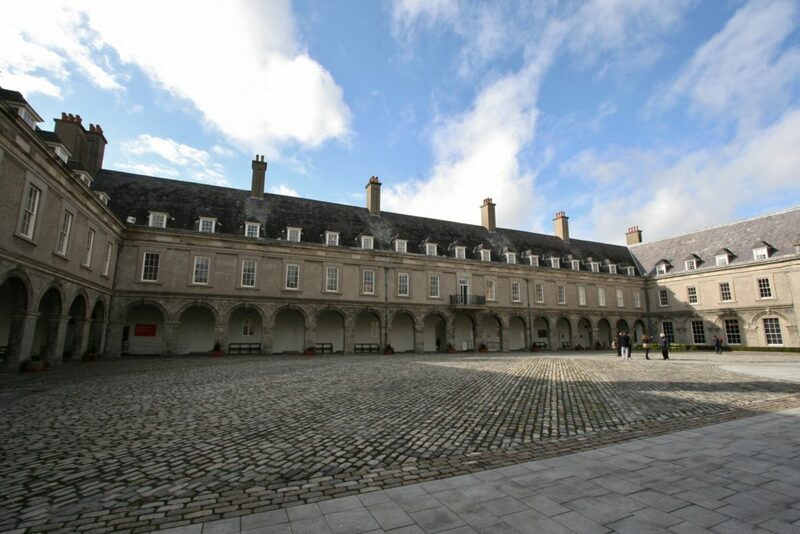 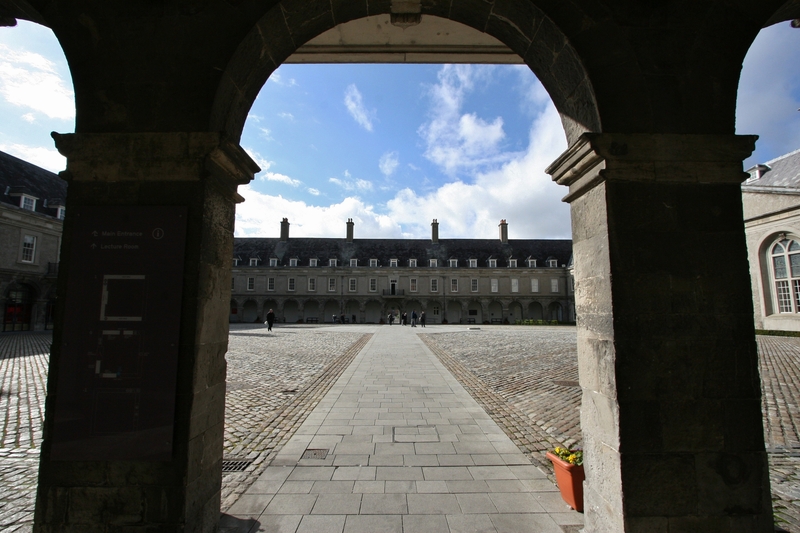 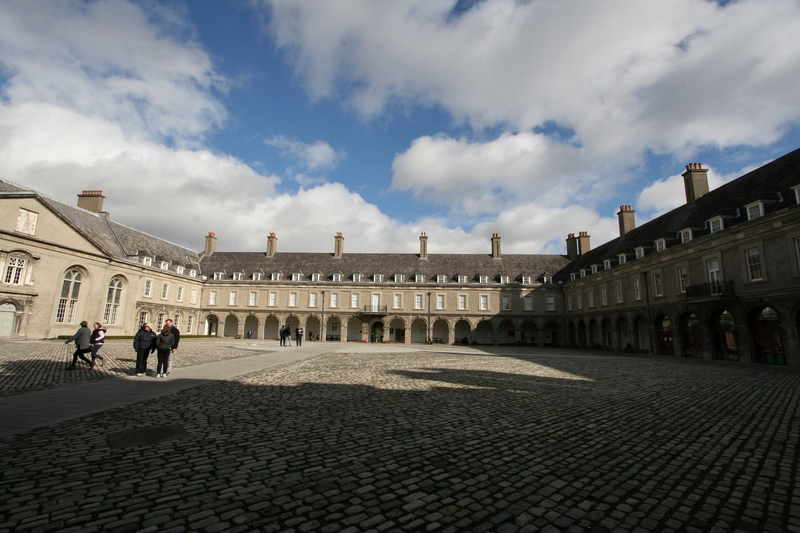 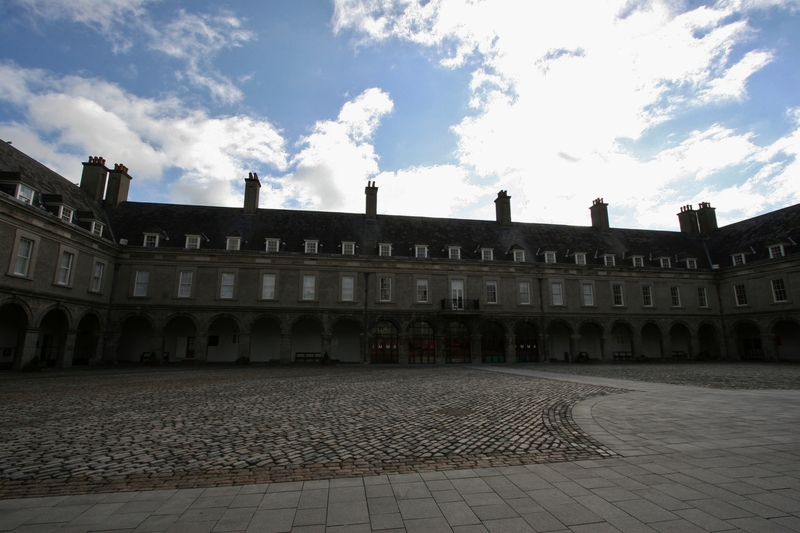 Next, we’re off to take a look at Collins Barracks, where the resident Royal Dublin Fusiliers, who thought they would soon be heading off to France, would instead find themselves fighting their countrymen on the streets of Dublin. 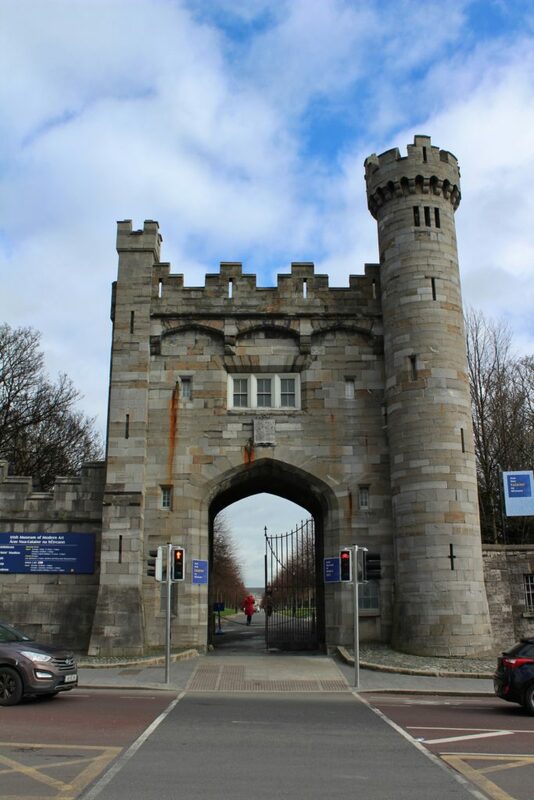 This entry was posted in Dublin - The Easter Rising. Bookmark the permalink.